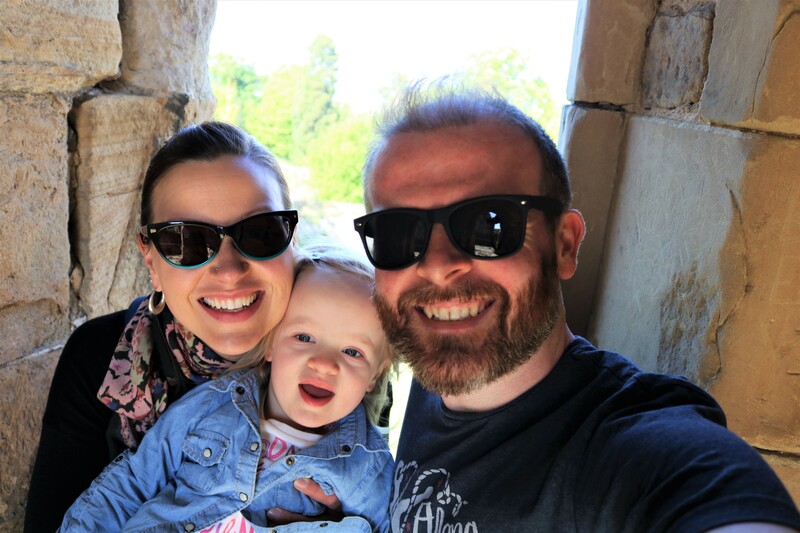 After a few long months of spending most of my time either at work or writing Saturday was my first full day of freedom – freedom from writing and reasearch and referencing and all the other things that go along with writing a masters dissertation. That puppy is now done and dusted and now I get to spend my time however the heck I want (when I’m not at work, that is). So how does one celebrate freedom after six months of school work? 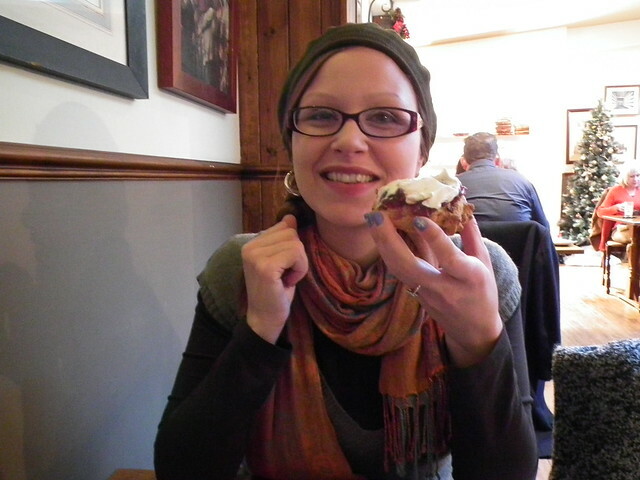 Well you go to the Chester Christmas market of course! Set smack in the middle of the city, under the shadow of town hall and the cathedral, you’ll find enticing smells, snow-capped wooden chalets, and a whole heck of a lot of people. On a Saturday afternoon it feels like the entire population of Chester is packed into the city centre, but it all adds to the festive atmosphere. The best part of the Christmas market has to be smells. 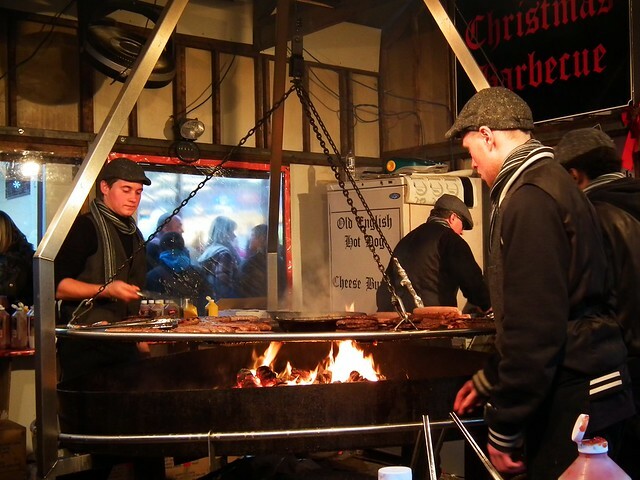 Mulled wine, barbecued burgers, roasting chestnuts, hot chocolate – it all mingles together and wafts through the streets making mouths water and drawing shoppers to its warm and festive ambiance. Top the day off with a festive afternoon tea at The Coach House Inn and you have the makings of a pretty perfect December day! 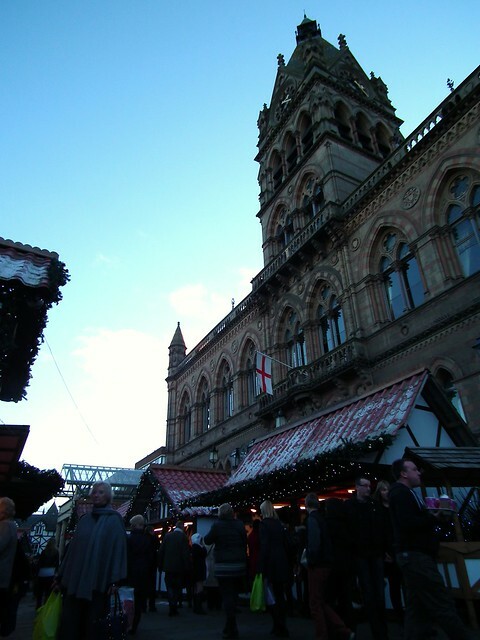 There are similar Christmas markets all over the UK, from London to Edinburgh, Belfast to York. For some reason they are often called German Christmas markets, for what reason I am unsure, but they are great places to while away an afternoon or evening poking through the stalls and treating yourself to a tasty tipple or two. 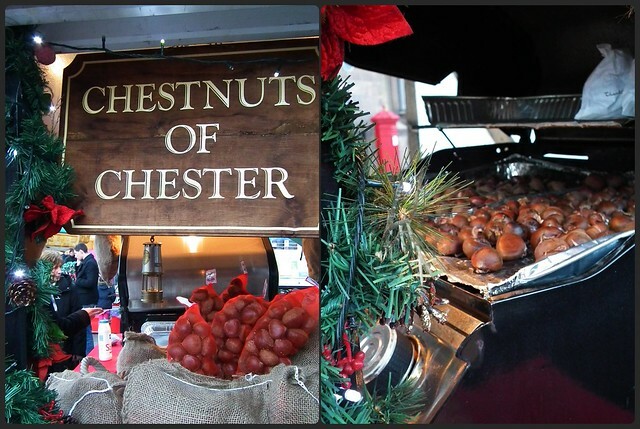 The Chester Christmas Market continues through December and ends on Christmas Eve.